Radio DockDogs® Episode 173 – 2 Weeks to Worlds! This episode we feature DockDogs® Worldwide CEO Grant Reeves! I sat down with Grant and we talked about the journey leading up to Worlds, as well as the many happenings that will occur in Knoxville in conjuction to the DockDogs World Championships! Grant and I also talk about the Golden Paw Awards, the Must-Attend event that puts the Oscars to shame! We also talk about the rapid growth of the DockDogs #Community and some tips for the new people attending their very first World Championship! 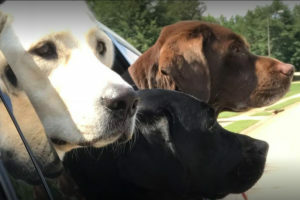 Tune in for Radio DockDogs® now! This episode we feature DockDogs® competitor Nancy Akin! I sat down with Nancy and we talked about tips to succeed and the “First Event Survival Guide”, a guide that Nancy put together for new competitors to the world of DockDogs. Nancy and I discuss the tools to succeed and how the DockDogs #Community truly are the most amazing people in the world of Dog Sports. Tune in for Radio DockDogs® now! This episode we feature DockDogs® CEO Grant Reeves. I sat down with Grant and we talked about upcoming events, The Victory Park Double Header Wildcard, the DockDogs World Championships, the return of Iron Dog, and how Knoxville is stepping it up for us this year at Worlds ! Tune in for Radio DockDogs® now! Can you guys get excited?! This episode we feature DockDogs® Australia’s own Farmer Dave! I sat down with Dave and we talked about Dogs in our lives, the differences between Australia and the US, and how he plans on expanding the sport in the land down under! Tune in for Radio DockDogs® now! The DockDogs® season is now heading into the full swing of things! 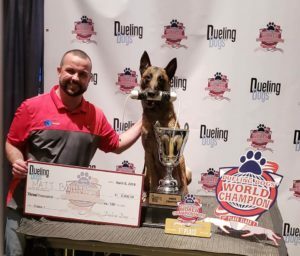 Tim Lake catches up with Matt Bohn of The Upbeat K9 and Buckeye DockDogs and talks about his recent success at the Dueling Dogs World Championships, Setting a new Guiness World Record, and what their plans are this season! Tune in for Radio DockDogs® now! Dueling Dogs World Championships is less than 4 weeks away. 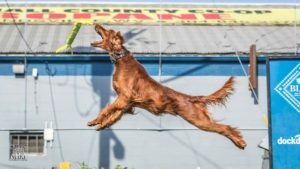 Tim Lake and the #powerful Rex Johnson discuss methods of training for Dueling Dogs World Championships, Dialed In Dueling, and The Year Ahead. Tune in for Radio DockDogs® now!